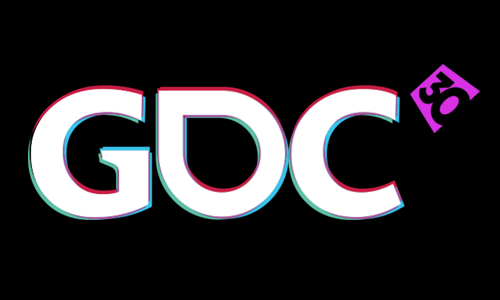 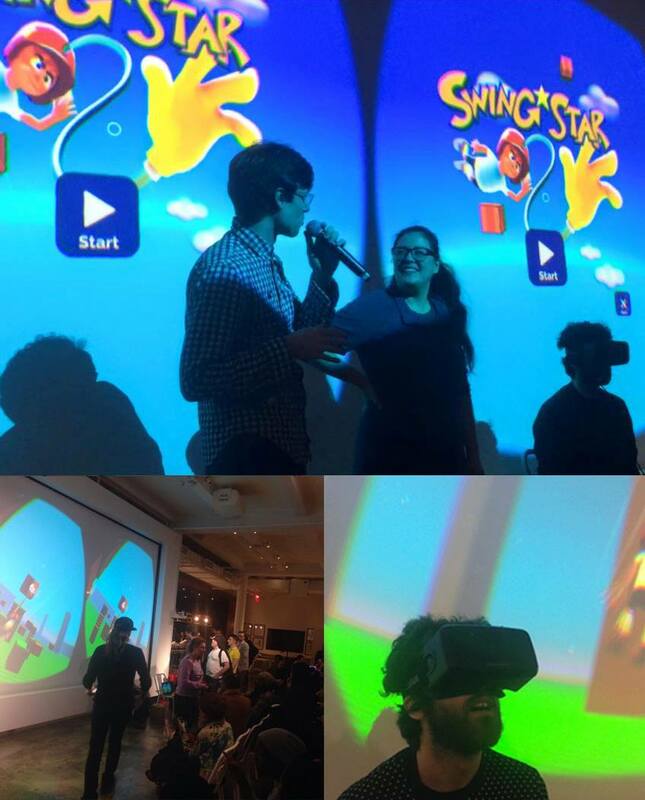 The Computerlunch team promoted Swingstar VR all over San Francisco during GDC with ad hoc demos anywhere we could find people willing to give it a go – at parties, pitching events, while waiting in line… It was fortunate timing for our VR game, as virtual reality was definitely on everyone’s mind. 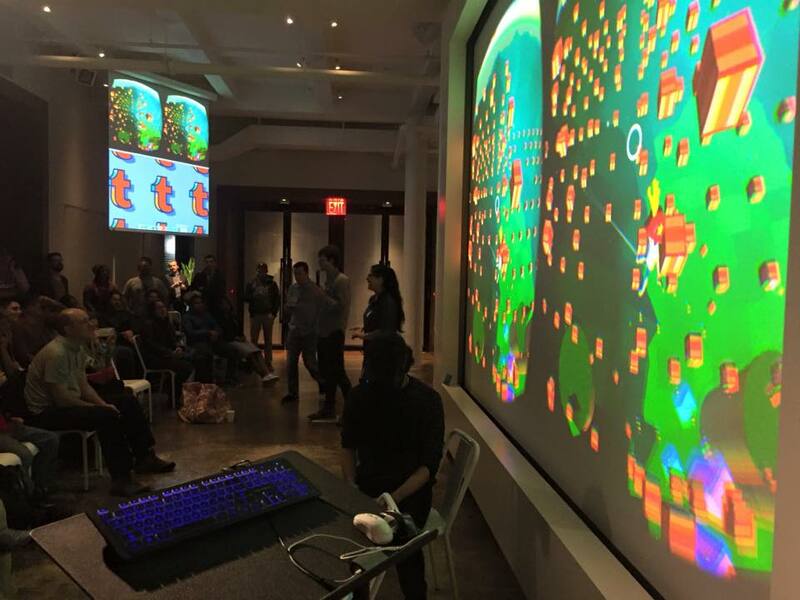 We got the opportunity to mingle with extremely talented colleagues, play some very cool games, and talk to hardware manufacturers. 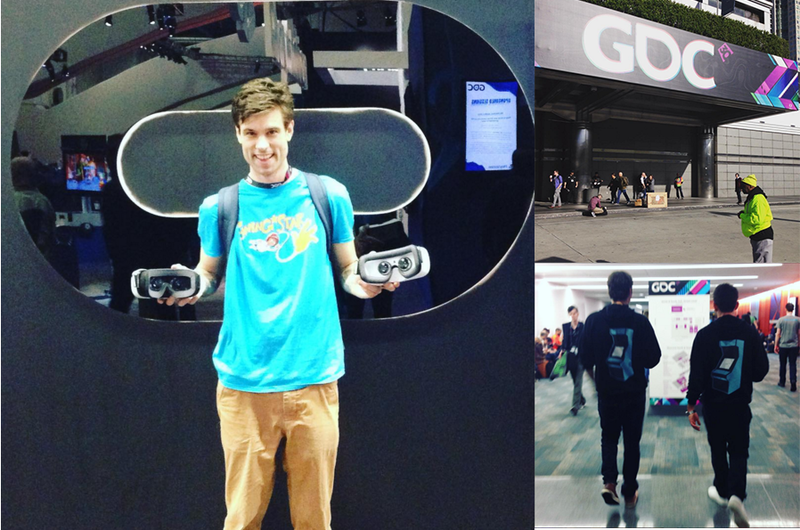 Andrew was especially impressed with Playstation’s beautiful and very fun VR games. 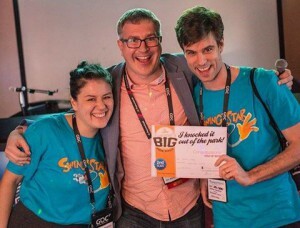 A swinging good time: At Pre GDC VR mixer; Tastemakers event; Yetizen party; on the Expo floor; chatting up vapers and claiming our prize at the Pocketgamer Big Indie pitch.